With over 120,000 blogs being created on a daily basis, it becomes hard for a blogger to be noticed and to rise from the rest of the crowd. 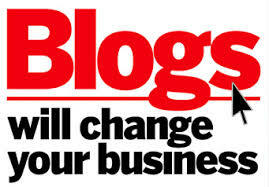 There are various factors that distinguish a great blog earning it thousands of followers. The trick does not only have great content. In fact, some blogs merely rise to have a mere follower despite having good design and great and unique content. The idea is to give the users what they want in a friendly way and avoiding any clutter. In this article, we provide the different ways on how to keep a blog clutter free and user-friendly. Quality and unique content are essential for the growth and popularity of your blog. However, it is not what will keep users on your blog. According to Forbes magazine, the first impression matter especially when it comes to business matters. It all boils doing to the first seven seconds of what a user sees. Utilizing this time carefully will make a good impression and capture the attention of the visitor. Therefore, the theme of your blog should not be a joke but should appear to be professional. The design also ensures that information will be properly organized in a chronological manner given users an easy time to get the answers of what they are looking. If this is not the case, you can be least assured that they will close the tab to your blog in an instant. Once you realize that the design of your blog matters, you can utilize the flowing techniques to enhance user experience. The area surrounding text, images, and any graphics is what is termed as the white space. Whitespace is vital in the organization of information as it helps in the content breakdown and drives the attention of the reader downwards. The trick is to balance the white space and the content in your blog to ensure that information is not scattered nor congested. Doing this will ensure that the blog will appear clean and professional eliminating the effect of overcrowded text and too many graphics. Chunking is also achieved through the proper use of whitespace. Chunking plays a separation role in showing readers those texts that are related and those that are different. Using this a reader can easily locate the information they are searching. 5. Bolding important ideas in the text sparingly. Overcrowding your sidebar with widgets that you barely need only adds confusion to your readers. This is because it will clutter the necessary information and make it less appealing to the eyes. However, there are some essentials you might consider including in your blog’s sidebar to enhance the experience of the user. Among them include; a search bar, social media links, a subscription form, links to the different categories and contact information. Strategic organization of your navigation tabs is essential in enhancing the experience of the users. They will be able to locate what they are searching for quickly. You can achieve this by choosing the important pages to display at the top of the navigation panel. Related pages may be set as sub-pages appearing in a drop-down menu. Also only include the top level pages as not all pages in the website should be accessible through the top level navigation tabs. If you need to tap into the ever growing market of mobile users, it is advisable to utilize a responsive theme. Using this theme will ensure that the blog is smart in that it will detect the device that the user is using and adjust accordingly to give them the best display and increase their experience. Using the above tips is a good way to kick start your blog in an engaging manner to your readers, visitors and followers.